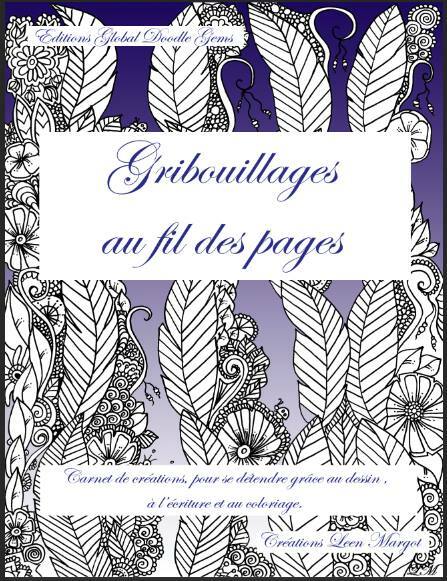 Discover “Doodles over the pages (Gribouillages au fil des pages)”, a coloring book by Leen Margot. This book allows beginner and experienced creators to express their creativity throughout the pages. The book exists in two formats, classic and ‘pocket’, which you can put in your handbag and bring where you want to spend the time faster, in a waiting room for exemple, or even to enjoy on the beach. What were your sources of inspiration ? My inspiration comes from my daughter who loves when I give her some drawing challenges. You can choose whatever color you want to use, the goal is to express your creativity. You can start the book from the beginning or even in the order you want. What are the mainly themes discussed through your realisations ? This book develops the creativity by giving some simple instructions and alterning the drawing challenges (draw flowers, bubbles, geometric forms…). It also develops the writing creativity : Write a poem rhyming with a, o, or u… Write your favorite citations, movies, books… The third theme is the coloring where I share my drawings so you can color them. If you are interested in the book, you can find it on Amazon. Also, you can find the artist page of Leen Margot to see more of her drawings, and follow her on Twitter.